As I always say in all my blogs digital marketing is all about interaction and getting maximum exposure. There are certain additions or plug-ins which must be present in your blog so that the content can be shared easily. For example, use Tweetdis, allows simple text to convert into tweets. Users can easily tweet your product information or anything that interests them. Make your content accessible, allow them to copy it, share it and tweet. All these independent sites can draw a lot of traffic for you; Tweeter’s reach is quite amazing in respect of number as well as diversification. Apart from this consider using services like Wibbitz, it converts plain text into videos which can be easily shared. 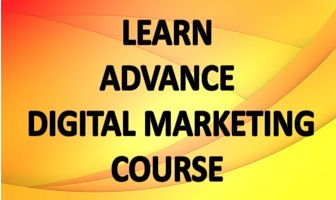 Such videos will also help you to reach your desired traffic mark. (i) Reddit: It is one of the sites which draws drool worthy traffic. Try using it for your product but keep in mind that it’s an advanced page so only put genuine, unique and worthy of share content. You might not get instant recognition but given the time you’ll develop healthy traffic, people will start coming in and you’ll get desired engagement. For increasing your success chance on such platforms, try to remain in synchronisation with the existing users ideas and hobbies, be as open in discussions as you can, use your wits while answering queries. All this helps to create a positive image and will be beneficial in long run. (ii) Product Hunt: If you only want to promote your product and nothing else then this place is your one stop solution. But keep in mind that you are not the only one using it. Such platforms become very popular very quickly among the selling communities so make sure you make a base first by proper introductions, follow a well-developed action plan. Then introduce the product you want to promote. Do not let your product get lost with million others. ‘Slow and Steady Wins the Race’ was perhaps made for such platforms only. Apart from these sites there exists variety of such platforms which one can use according to their product needs but always make sure to start in a strategic way else it won’t generate desired result. Semantics is a relatively new trend in marketing world. Usage of semantics can prove quite beneficial as it is not about using keywords or seo. It uses a specific combination of words, phrases or signs in content to target a pre-determined group of customers. Semantic marketing enhances the chance of your email being actually read. Schema.org is one site that can prove helpful, also it is supported by Google, Microsoft, Yahoo and Yandex. All the data structures are developed in an open community so anyone can make use of it. If you strongly believe that your content has life changing capacity (not literally) then I recommend using Triberr, online community where people come together to share some out of the box ideas. It is a place for quality content. Just keep in mind to share 2-3 posts per week, posts should be rich in content, venture in area of your interest, show mutual trust by sharing articles of those people who share your article and in the end you can go for paid marketing to book a top slot for your post. Along with this try to join QA pages like Yahoo and Quora. Reason behind this is to make a reputation by answering the questions on forum and getting a high rate. This will build your following and eventually traffic. Email Outreach may look like ‘not so helpful’ type of concept on the outside but it has immense potential of getting the targeted users on to your link. The art of writing an Email just extends in an outreach and if you are targeting some big clients with busy schedules outreach is the most effective way. The only mantra for email outreach is to get your mail read and for this many techniques are used: keeping text short, to the point sentences which convince the client and explain what you’re offering etc. Outreach templates can be created for re usage and outreach schedules are also maintained by many people with the help of softwares like Boomerang and Mailchimp.